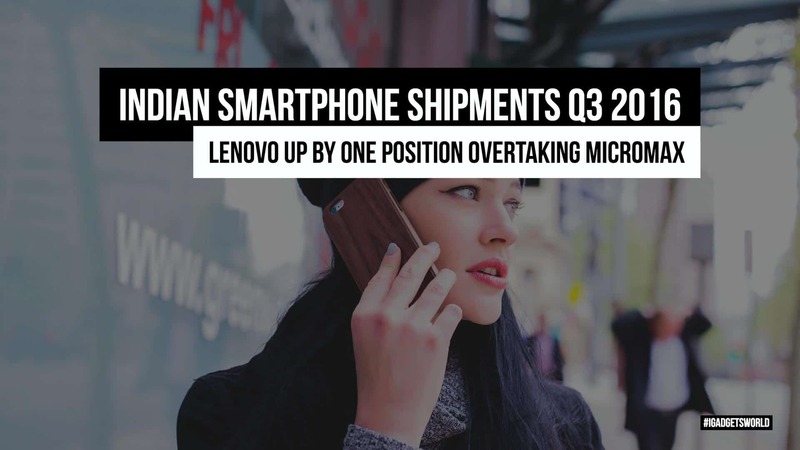 Micromax has been facing a decrease in sales from few years, but still managed to be in the second spot of Indian smartphone shipments until Q2 2016, but for the first time, it lost the second position for Lenovo. The South Korean based Samsung is still leading, but what’s really alarming is the Indian mobile manufacturers like Intex, Lava, and Karbonn have already lost their control over Indian mobile market. Xiaomi, the leading Chinese mobile brand released many affordable smartphones like Redmi Note 3, Redmi 3S & 3S Prime which ultimately led to increasing in sales. Now the company has grown to 4th position beating Lava & Intex and is giving a big competition to Micromax. It may soon become the third largest mobile brand in India and there’s no doubt in it. On the bright side, after the acquisition of Motorola, the Chinese brand Lenovo has grown to become a mobile giant in Indian mobile market and it will become a monopoly in no time, and it is for sure as it is growing aggressively. Lenovo K series phablets are a huge hit, and so the Moto G series. These combined together helping the brand to grow in the Indian mobile market. The recent flagship Lenovo ZUK Z2 is also a huge hit, and the sales may reflect in the next year shipments. Just like the Lenovo, the other Chinese brand Xiaomi will soon rule the Indian mobile market. There were times local Indian brands used to dominate with their not so- high-end mobiles or mid-range smartphones, but except Micromax, other smartphone brands like Karbonn, Lava, Intex etc is not even in the top 5 positions in the Indian smartphones shipments Q3 2016. After the Xiaomi, the final place is occupied the popular Reliance Jio brand’s Lyf smartphone. Offering a free 4G service made everyone buy the smartphone and recently the brand came with a mid-end flagship with good specifications. For the next 2 quarters, the sales of Lyf smartphones will continue to grow and it may go down as other Chinese mobile brands like Oppo, Leagoo, Coolpad are growing. As a matter of fact, Oppo and Vivo outperformed in Chinese mobile market and beat Xiaomi to reach the first & second position in Chinese smartphone shipments this quarter. This is because of offering iPhone-like smartphones for an affordable price. Even in India, we may see the same scenario soon, and I believe Chinese brands will dominate instead our local Indian players’. The new initiation Make in India also helping the Chinese mobile brands to launch Indian specific devices. Considering all these events, it is expected that in the coming 2 quarters, all the rankings of Indian smartphone shipments will change, giving a chance to Chinese mobile brands to grow up. Let us know what’s your opinion on this in the comment section.